A combined gift of US $250,000 from Starkey Hearing Technologies and Starkey Hearing Foundation will make it possible for Special Olympics to train more hearing health providers and make healthy hearing more inclusive of people with intellectual disabilities. The partnership between Starkey Hearing Foundation and Special Olympics will expand hearing health services for people with intellectual disabilities with the Starkey Hearing Institute, located in Lusaka, Zambia. Starkey Hearing Foundation and Starkey Hearing Technologies will support ear and hearing health screenings at Special Olympics Healthy Athletes® at Abu Dhabi World Games 2019. The gifts from Starkey Hearing Technologies and Starkey Hearing Foundation to Special Olympics will make healthy hearing more inclusive of people with intellectual disabilities (ID) by establishing a regional partnership in Africa and will support ear and hearing health screenings at Special Olympics Healthy Athletes® at World Games Abu Dhabi 2019. People with intellectual disabilities are often the most marginalized. This partnership means more people with ID will be able to go to school, to work, and to literally be part of the conversation about ending discrimination. The Starkey Hearing Institute in Lusaka, Zambia, will deliver high quality training for hearing professionals, fully integrate people with ID into its programming, and create a regional hub of clinical excellence and programming for hearing health care inclusive of people with ID. At the World Games Abu Dhabi 2019, Starkey Hearing Foundation will support ear and hearing health screenings to athletes participating in Special Olympics Healthy Athletes® Healthy Hearing. Healthy Hearing provides comprehensive hearing screenings, follow-up recommendations when necessary, and education on the importance of regular ear and hearing screenings. When we have the ability to hear, we have the ability to truly connect with each other. By partnering with Special Olympics, we are breaking down barriers to healthy hearing and helping people with ID achieve their fullest potential. Among Special Olympics athletes in Africa, 4% have permanent hearing loss, 38% have a blocked or partially blocked ear canal, 21% failed a hearing test, and 19% have possible middle ear problems. The regional partnership will address the prevalence of these health indicators among people with ID by providing clinical services, training providers, and integrating people with ID in all programming. The Institute in Lusaka, Zambia, will serve as a replicable model of inclusive hearing health across Africa and around the world. Dr. Timothy P. Shriver, Chairman of Special Olympics, will be honored at the So The World May Hear Awards Gala presented by Starkey Hearing Technologies on Sunday, 15 July, 2018, in Saint Paul, Minnesota, USA. Dr. Shriver will be honored for his humanitarian efforts to break down barriers, transcend borders, and help individuals feel connected and empowered. 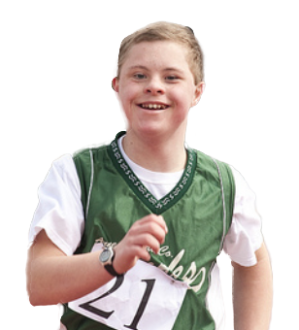 Dr. Shriver will be accompanied by athletes and staff from Special Olympics Minnesota. Despite severe need and higher health risks, people with ID are often denied basic health care and services and are frequently among the most vulnerable populations in any country. Throughout the world, Special Olympics is partnering with international organizations like the Starkey Hearing Foundation and Starkey Hearing Technologies, providers, community organizations, businesses, and government agencies to break down barriers to health faced by people with ID. When people with ID have access to health services like hearing screenings, they have more opportunities for education, employment, sports, and other pathways and human rights to reach full inclusion in society, according to the Convention on the Rights of Persons with Disabilities (CRPD) and the Sustainable Development Goals (SDGs). Starkey Hearing Foundation, a charity founded by William F. Austin in 1984, gives the gift of hearing to people in need in the U.S. and around the world. Disabling hearing loss affects more than 360 million people, including 32 million children, yet many do not have access to the hearing devices that improve lives and promote understanding. The Foundation focuses on hearing health care, education, and support. The Foundation has provided more than 1.1 million hearing health care services to patients in more than 100 countries. Connect with Starkey Hearing Foundation on Facebook and Twitter, or visit www.starkeyhearingfoundation.org.